My well informed spies tell me that Friday evening's BBC Southeast Today report on Lisa Richard's experience of Margate may have breached 'Auntie's' guidelines and one insider richly described the broadcast to me in four brief letters which would breach my own acceptable use policy. My understanding is that 'Learned Friends' are even now sharpening their legal pencils and that the problem can be divided into two distinct parts. The first of these surrounds an allegedly unwarranted personal attack on a local business and business woman for expressing an opinion on the town and drumming-it-up into the kind of artificially contrived, class war issue the BBC appears rather overfond of these days. The second involves the part played by Cllr Ian Driver, an independent (TIG) Ramsgate councillor who was approached for an interview on Lisa Richard's article and subsequently on-air, called for a boycott of her Margate pizza business and a Thanet Council inquiry. Quite why the BBC approached Cllr Driver still remains unclear, as neither his favourite topics of animal exports, gay marriage or even the closure of Margate hospital were involved. No member of the Council or Labour Cabinet appeared to give balance to the story and they are remaining rather quite on the subject. It won't be lost on readers that TIG is keeping the Labour administration in control of the Council and so any criticism of Councillor's Worrow, Driver and Cohen, is shut-down very quickly indeed, both inside and outside of the Council Chamber. For any councillor to call for a boycott against a local business is potentially damaging and indeed expensive to the Council. For this to be the Chair of the Scrutiny Committee is viewed by some as an abuse of position and I'm quite interested to see if Council Leader Clive Hart will act or simply sit on his hands and mutter his mantra about diversity and inclusion as usual. The address for complaints to the BBC is quentin.smith (@) bbc.co.uk - abbreviated to avoid spam - and he is one the programme's producers. The more expressions of concern he receives on the subject, probably the better. What Lisa Richards said was the truth the whole truth and nothing but the truth, but of course Hart and Driver don't want to accept that or promote change, because they would prefer the status quo and to keep the unemployable scum that we all have to pay for. The last thing they want is hard working people to move in who would pay their way in life,and who might possibly vote for another party rather than the idiotic shower looking for a brain cell between them and pretending to be Labour. It is called jerrymandering and unfortunately not an offence any more. You say that any criticism of Councillor's Worrow, Driver and Cohen, is shut-down very quickly indeed, both inside and outside of the Council Chamber. You've failed to say that it works both ways. Councillor's Worrow, Driver and Cohen, none of whom are totally stupid (they certainly keep you rattled) are also responsible for supporting the incompetence of the Labour Cabinet that they surely must recognise. What I would like to know is, other than yourself and Cllr Wells, where is the Conservative Leadership. We never hear the official conservative line from your leader or isn't there one any more!! Rattled by TIG?! You must be joking. The 'official' Conservative line alternates with the 'Official' Labour line in the local paper, every other week. If I reserved space here for such, beyond my own opinions, I would lose readers very quickly I'm sure. I for one would like the situation investigated, as already stated I personally believe that Cllr Ian Driver misused his elected position. I find it offensive that Cllr Driver did this while being the Chairman on the Scrutiny Committee and sits as Chairman on a T&F group which supposedly is about "scrutiny of key crime and disorder topics in Thanet". Thanks for the BBC email address I will be writing. If I wanted to contact the Council about my concerns Simon who should I (or others) email/contact? To be honest I'm not sure but the Chief Executive might be a good start! As has already been stated there is much truth in Lisa Richard's article but why did she have to adopt such a patronising tone - "...we’re pretty sure visiting Londoners will spot the La Marzocco coffee machine and barrels from Borough Wines immediately." I live in Thanet I know what a coffee machine and wine barrel looks like thanks very much. Think on Lisa, we're not all tattooed racists, some of us might have even been your customers ! You need us as much as we need you. Clearly Cllr Driver calling for a boycott is disgraceful and he should be removed from office asap. I thought the BBC feature appalling. It seemed they had gone to great expense to flesh out the feature. Graphics with actors reading out endless facebook posts. Then reporting that there were only two calls for boycott on the site at the time. Egging on the audience! Bringing in a sociologist! And reporting live from outside the premises. And all the while the final day of the Public Inquiry into Arlington was underway. Really, BBC. That was the news of the day? Judging by how busy GB Pizza was on Saturday evening when I visited, I would say Cllr Driver has done an excellent job with helping promote it. I agreed with cllr Bruce - but when has it ever bothered cllr Driver that it has nothing to do with the council? In any case - I thought he was a Ramsgate cllr not a Margate one - or has he now been elevated to the cabinet or in fact Leader? Might as well be - his toy group seem to be deciding everything! Alistair while a totally agree with you that the Arlington Tesco public enquiry is the main local news story at the moment, I find that I don’t know what the Conservative group’s position is on this important issue. I have published my own views on the subject, find I don’t really know where the Labour group, TIG or the council stand. I have heard the heritage officer was moved from heritage over trying to get Arlington listed, but don’t know the ins and outs of this. 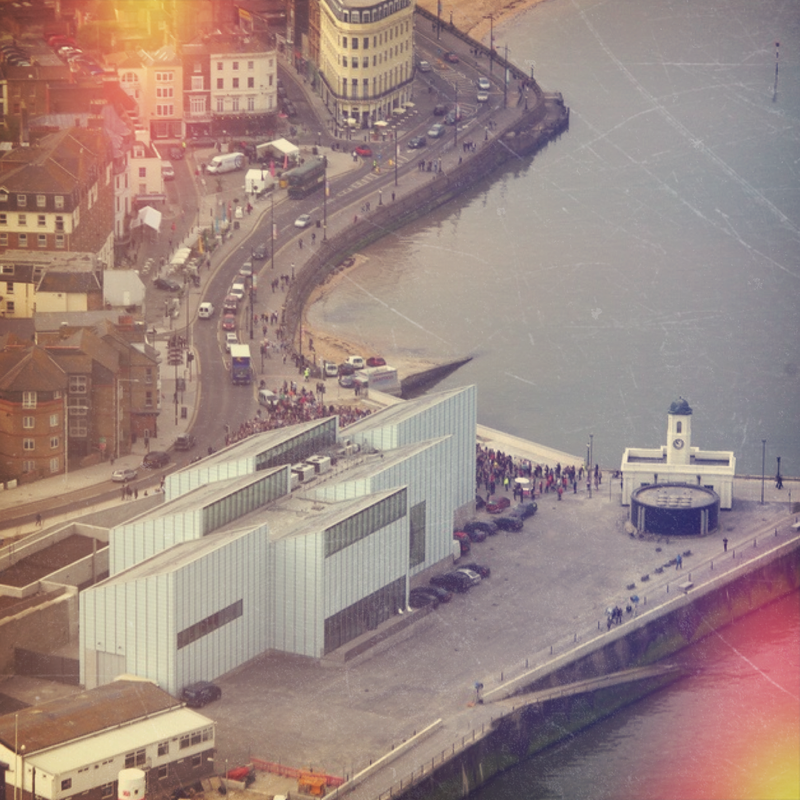 Generally the Conservative group seem to be very supportive of The Turner Contemporary, where the exhibiting artists have focused on 60s art. I am also aware of considerable support for Margate Old Town, where many of the traders are focused on 60s retro items. So how do you and other councilors feel about the biggest 60s retro item in Thanet, do you think plastic windows, a magnolia paint job and a Tesco development which isn’t in keeping with the architectural style of Arlington is the way to go? Annon 8:50AM Not entirely sure where you are coming from. May I suggest that you read Lisa's article again. She never refers to Thanet in general only the immediate vicinity to her restaurant. Other than the area of the old town and immediately around the Turner, where would you feel safe at night. Everyone knows that Margate Central, Iris's ward that she cares so much about!!! is one of the most deprived in the Country. Accept it and let's do something about it. Welcome the DFL's. We can be sure the incumbent politicians wont. Don't see many councillors giving their opinion on Arlington Tesco. Keeping quiet for fear of offending voters appears to be the policy. I challenge them to state what side they are on, the people or big business. 3:39 Where I'm coming from is this - Of course there are bad areas in Margate (and all towns) but Lisa (and perhaps you)seems to be missing the fact that there are good decent people in Thanet who do use the town and it's businesses. By targeting DFLs she is losing out on the decent Margate folks who she should be encouraging. I find it a little insulting that she implies (from my reading of her article at least) that only DFLs will recognise and appreciate her business offering - not true ! I regret to have to bring to your attention a prima facie affront, in Thanet, to the moral objective of equality. I refer, of course, to the recent publication of heavily tattoophobic comments. I understand that the comments arose from the pretentious pizza with artitude community. Please bring this matter to the attention of TDC diversity champion as a matter of urgency. Along with homophobia and islamophobia, tattoophobia is a deeply serious issue. In this case the publication is racially aggravated by implying that the targets of hate are white tattoo exhibitionists. I suggest that Lisa has little to worry about. I suspect no one pays much attention to the thoughts of Councillor Driver, other than Driver himself. Lisa should just concentrate on her business. I wish her well. 10:49, surely the accusation of criminal should be directed at anyone not sporting a tattoo. After all, in the Worrow world all of us who are not LGBT in some way would seem to be homophobic. In some of the Island's wards, having a tattoo is normal and those with unmarked skin are in the minority. So Diversity varies from ward to ward. My mate, Ginge, has a prominent tattoo (On his narrow forehead) which reads "Biscuits". A fine example of self deprecating humour. Well until he became bald. So he had "Ginger" tattooed above the older tattoo. But, for some reason, the self deprecating aspects of the humour did not entirely survive the codicil tattoo. A parochial pretentious pizza purveyor and a determined devious diversity deity happed upon Ginge in his cups in a Margate pub. "What motivated you to have that homophobic tattoo" they cried. Well Ginge, not usually the type to cause trouble, in a flash replies "I saw it as a message trailing along behind a light aircraft"
"I want you to bear witness against the pilot" cried the homophobe finder general "That pilot's a homophobic tory"
Ginge says "OK if the tattooist can spell all that." I concede that Ian Driver derives his fan base from whipping up hysteria à la Daily Mail style. He did the same with the QEQM A&E page on Facebook on which everyone was "accidentally" added. Tricky. I doubt that anyone actually followed his advice, nor will he be taken seriously in the future. However, I was one of the first people to have their attention drawn to the pretentious and self-congratulatory article by Lisa Richards. It IS patronising, in fact to list all of the negatives of Thanet that she cites would take some time. Clearly, the success of making nice pizza having gone straight to her head, her implication that somehow she was the first and only DFL to see the potential of Margate makes a mockery of all the investment by locals of time, skills and money that have done so much to get Margate back on the map. It WAS an incredibly condescending article and if nothing else goes to prove the adage "Know Your Market" ... she failed at this. Margate is a real town, not some quaint, shabby chic bolthole for London Luvvies. Furthermore, her Twitter remarks during the "crisis" quite plainly stated that the article was aimed at "intelligent readers who would understand it". I think that says it all really, and I do have screenshots of the remarks. So it's plain to see what she really thinks of her local customers. Shame really. You're making pizza Lisa, nothing more. It wouldn't be hard to find thousands of locals who are occupied with doing something more worthwhile and yet who do not feel the need to validate themselves by pointing out the failings of others. However, I'd never advocate Driver's boycott. What sort of message would that give others wishing to invest in Margate. The woman made a fool of herself. It happens. She doesn't deserve to go out of business, but the honeymoon is over. I'm sure they will continue to thrive. But, as my daughter said to me, "what has been seen cannot be unseen". Sure, we'll buy your pizza. But, we've got your number, Lisa. The funny thing about PizzaGate Bev is that the vast majority of people wouldn't have found out about it had Cllr Ian "Makes A Fuss About Everything" Driver not done his piece for the the Press. People took different things from the article written by Lisa, I'm one of those people that didn't get all worked up by it as I found it an accuarate depiction of Margate and Thanet in general. I am awaiting a further reponse from TDC regarding his actions and hope that he is suitable punished.